The United Arab Republic (UAR; Arabic : الجمهورية العربية المتحدة‎al-Jumhūrīyah al-'Arabīyah al-Muttaḥidah) was a sovereign state in the Middle East from 1958 to 1971. 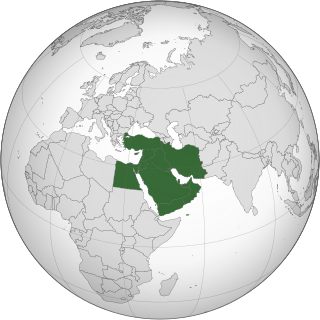 It was initially a political union between Egypt (including the occupied Gaza Strip) and Syria from 1958 until Syria seceded from the union after the 1961 Syrian coup d'état, leaving a rump state. Egypt continued to be known officially as the United Arab Republic until 1971. The United Arab States (UAS) was a short-lived confederation of the United Arab Republic and North Yemen from 1958 to 1961. The Syrian Communist Party was a political party in Syria founded in 1924. It became a member of the National Progressive Front in 1972. The party split in two in 1986 with two separate parties claiming to represent the original Syrian Communist Party; the Syrian Communist Party (Unified) and the Syrian Communist Party (Bakdash). Nasser's final terms for the union were decisive and non-negotiable: "a plebiscite, the dissolution of parties, and the withdrawal of the army from politics". While the plebiscite seemed reasonable to most Syrian elites, the latter two conditions were extremely worrisome. They believed it would destroy political life in Syria. Despite these concerns, the Syrian officials knew it was too late to turn back. The members of the elite in Syria viewed the merger with Egypt as the lesser of two evils. They believed that Nasser's terms were unfair, but given the intense pressure that their government was undergoing, they believed that they had no other choice. 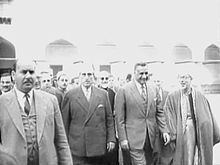 Despite the economic difficulties, what truly produced the demise of the UAR was Nasser's inability to find a suitable political system for the new regime. 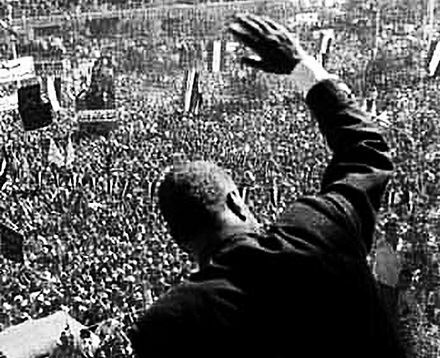 Given his socialist agenda in Egypt, the Ba'ath should have been his natural ally, but Nasser was hesitant to share power. Though Amer allowed some liberalization of the economy in order to appease Syrian businessmen, his decision to rig the elections of the National Union (the single party which replaced the Ba'ath), with the help of Colonel Abdul Hamid Sarraj (a Syrian army official and Nasser sympathizer), antagonized Ba'athist leaders. The Ba'ath Party won only five percent of the seats on the higher committees, while the more traditional conservative parties won a significant majority. Sarraj was appointed the head of the National Union in Syria, and by the spring of 1960 had replaced Amer as the chair of the Syrian Executive Council. Under Sarraj Syria was ruled by a repressive security force designed to suppress all opposition to the regime. Without any close allies to watch over Syria, Nasser was unaware of the growing unrest of the military. On September 28 a group of officers staged a coup and declared Syria's independence from the UAR. Though the coup leaders were willing to renegotiate a union under terms they felt would put Syria on an equal footing with Egypt, Nasser refused such a compromise. He initially considered sending troops to overthrow the new regime, but chose not to once he was informed that the last of his allies in Syria had been defeated. In speeches that followed the coup, Nasser declared he would never give up his goal of an ultimate Arab union. However, he would never again achieve such a tangible victory toward this goal. 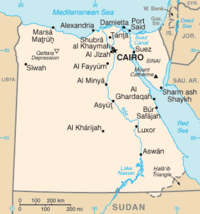 ↑ "Egypt (1961–1979)". nationalanthems.info. Archived from the original on 2013-10-17. Retrieved 2013-11-09. 1 2 James P. Jankowski (2002). Nasser's Egypt, Arab Nationalism, and the United Arab Republic. Lynne Rienner Publishers. ISBN 9781588260345. Archived from the original on 2017-10-10. Retrieved 2016-08-19. 1 2 3 4 5 "United Arab Republic (U.A.R.)". Encyclopædia Britannica. Archived from the original on 2012-08-14. Retrieved 2012-08-24. ↑ Tsourapas, Gerasimos (2016). "Nasser's Educators and Agitators across al-Watan al-'Arabi: Tracing the Foreign Policy Importance of Egyptian Regional Migration, 1952–1967" (PDF). British Journal of Middle Eastern Studies. 43 (3): 324–341. doi:10.1080/13530194.2015.1102708. Archived from the original (PDF) on 2016-11-20. ↑ Elie Podeh (1999). The Decline of Arab Unity: The Rise and Fall of the United Arab Republic. Sussex Academic Press. ‘Abd ul-Salam Mohammed ‘Arif Aljumaily was President of Iraq from 1963 until his death in 1966. He played a leading role in the 14 July Revolution, in which the Hashemite monarchy was overthrown on July 14, 1958. Abd al-Wahab al-Shawaf was a colonel in the Iraqi Army and played a part in the 14 July Revolution in 1958 as a member of the Free Officers Movement of Iraq. Hani al-Hindi was a Syrian politician and activist. He co-founded the Arab Nationalist Movement with George Habash and served in the cabinet of Salah al-Din al-Bitar in 1963. Abd al-Wahhab Hawmad was a Syrian politician, lawyer, criminologist and professor. 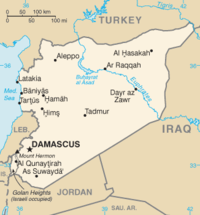 The Syrian coup d'état of 1961 was an uprising by disgruntled Syrian Army officers on September 28, 1961, that resulted in the break-up of the United Arab Republic and the restoration of an independent Syrian Republic. 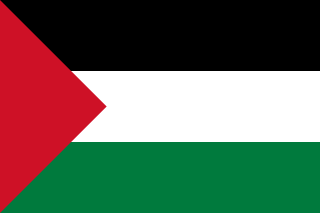 Wikimedia Commons has media related to United Arab Republic .